Serious car crashes caused by 16 to 19 years old drivers increase by 15% during the summer months. Holiday mood sets in during summer vacation. Teenagers often think of a carefree life and lots of fun. The days are long, and there is no school to occupy teens. Unfortunately, many engage in reckless driving, visiting places and going for outings with their friends. Surely, the summer holiday would be wonderful if the teens could keep their heads cool during the warm summer months and drive safely. According to reports, serious car crashes caused by 16 to 19 years old drivers increase by 15% during the summer months. In the last five years there have been over 1,600 traffic accidents due to careless teen drivers. No wonder, the summer months are also known as – The Hundred Deadliest Days, with reference to the teen drivers. Drivers in the 16 to 17 age group cause 2 times more number of car crashes than those 18 to 19 years of age. Compared to the people who are in their 30s, 40s, and 50s, the 16 to 17 year olds cause around 4.5 times more accidents. Moreover, there is a 9 times greater chance of an accident for the 16 to 17 years old drivers when compared to the driver who is 18 years of age, and a 6 times greater chance for a fatal collision. More teenagers drive on the roads during those months because there is no school to keep them busy. Not only that, they tend to drive along with their friends. So there are quite a few cars one behind the other which have teen drivers. Around 60% of the collisions occur because of distracted driving. 15% of the road accidents are due to the fact that there are passengers in the car and the teen driver, who may be 16 to 19 years old, is interacting with them while driving. 12% of the crashes are caused by teen drivers who responds to text messages and phone calls while driving. There has been an upward trend in the numbers related to the accidents caused by the teen drivers. In 2015, the number of deaths of teen drivers went up by 10%. It is estimated that per day 6 teenage drivers, in the age group of 16 to 19 years died in auto accidents. Graduated driving license is a step towards preventing teen accidents. 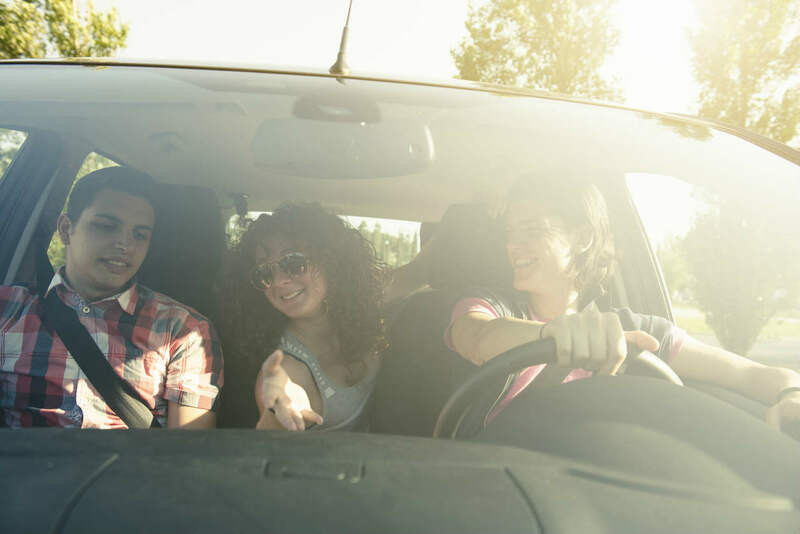 These days, parents are making use of the teen driver technology to track the driving trips of their teens. But, needless to say, the best remedy lies in the hands of the young drivers who must learn the importance of being a responsible driver. If you have been in a teen driving accident, you should get in touch with The Hoffmann Law Firm, L.L.C. Give us a call 24/7 at (314) 361-4242 for a FREE case evaluation.